Are you ready for the holidays and all the sweet treats that it entails? 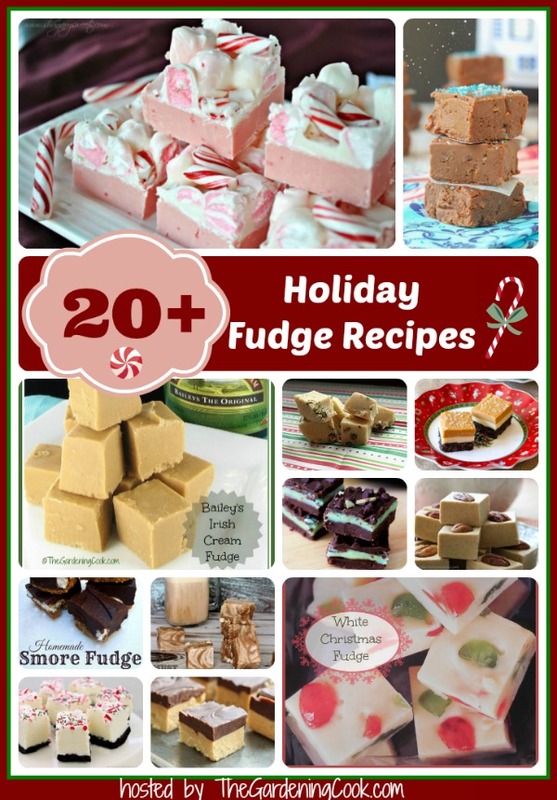 How about making up a few of these fudge recipes to have on hand for Christmas? Fudge is the one sweet treat that I make each year without fail. I can’t trust myself to have it sitting around during the year, because I love the taste of it. Fortunately for me, fudge freezes well, so I can take out a piece just when I have a hankering for it instead of having it tempt me non stop. Out of sight, out of mind, they say! Are you a fudge lover like I am? Be sure to check out these favorite fudge recipes over at The Gardening Cook. Be sure to check them out. One is sure to be perfect for your holiday table.